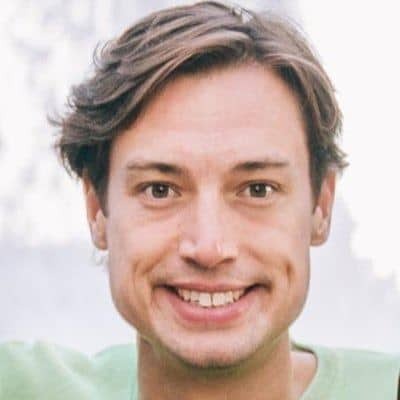 In today’s interview I get to speak with low carb real food diet advocate, Sam Feltham from The Public Health Collaboration (PHC), about why real food rocks & how this UK charity is after changing the national food guidelines. He is the director behind the PHC, a UK charity that is trying to educate doctors an the public on the benefits of eating low carbohydrate healthy fat real foods. 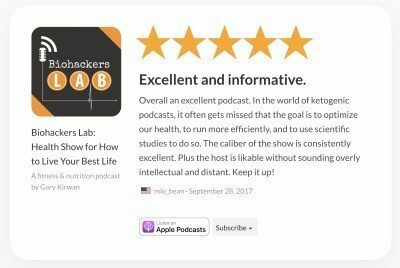 We not only talk about his national news making n=1 experiments, but also why he along with patrons and doctors who support the cause are so passionate about spreading the low carb diet word. If you know someone who is interested in helping to make their doctor understand why they want to eat a low carb high fat diet to improve their health then this episode is for them! I enjoyed this interview as I have been following Sam since his days running his Boot Camp business. He has always been keen to promote the low carb diet and trying to get people to help manage their health conditions better through better food choices. After speaking with Sam I have a better understanding as how the Public Health Collaboration works and why it is important part of the movement to change the national food guidelines for the better. Special thanks to Sam for joining me on the show. Enjoy the episode! Go to The Public Health Collaboration official webpage here to find out more about them or follow them on Twitter, Facebook or Youtube. [0:20] – Introducing Sam Feltham, director of Public Health Collaboration; a charity dedicated to informing and implementing healthy decisions for better public health. [0:50] – Sam became well known throughout the UK and made the national news lines due to his very interesting n=1 diet experiments where he ate a huge surplus of calories for 21 days. He wanted to experiment with different types of calories and show there are flaws with the traditional calorie formula to lose weight. He explains how he tried 3 different diets: the low carb/high fat real foods diet experiment where he consumed a net calorie surplus of 47,000 calories after 21 days and should have gained 6.1kg but only gained 1.3kg and lost 3cm from his waist; the low fat/high carb fake food diet experiment with a net calorie surplus of 47,000 calories again, but this time gained 7.1kg and 9.25cm around his waist; lastly the very low fat/high carb real food vegan diet experiment, which resulted in a 39,000 calorie surplus which should have resulted in a 5.2kg gain, but Sam gained 4.7kg. [9:30] – Different foods affect people in different ways and the only way to know is to experiment on yourself (we are all n=1!). Sam explains you do not have to believe him and encourages people to experiment. Food choices are important. [10:28] – The Public Health Collaboration (PHC) is about promoting the right kinds of food. Sam explains how at the end of 2015 he decided it was time to get serious about change. Up until that point Sam was running fitness boot camps and had a YouTube channel, Smash the Fat – which is still up, but not active – but was getting increasingly frustrated with seeing the number of people who were struggling to lose weight using government advice. He explains how, in March 2016, he closed down his boot camp business and started the non-profit PHC, which is now also a registered charity, which aims to organise and give structure to everybody’s individual efforts. [13:11] – There are a lot of healthcare professionals, like UK cardiologist Dr. Aseem Malhotra, who are outspoken in the media and sympathetic to this cause and PHC tries to bring these people together to create a much more powerful message to bring about change. [17:24] – The takeaway here is that carbohydrates are not essential nutrients but protein and fats are – our previous guest, Dr Gary Fettke likes to say healthy fats instead of high fat, and Sam too would agree. We don’t have to be afraid of real foods with natural fats. Sam recommends that we track our blood work as much as possible and if we see that the results are good then whatever we are doing is working for us, which is the main thing. It is important to reiterate that it is very individual. [18:41] – Sam explains the PHC is happy to accommodate people with various eating preferences from vegans to high meat eaters (Have you heard Dr Shawn Baker zero carb diet story?). Anyone who’s outside of the ranges of metabolic syndrome and is able to maintain that on their preferred natural food diet, is fine. Sam also mentions all the markers to test for to ensure we are in good shape including stable blood glucose, low triglycerides, high HDL, normalised blood pressure, a good waist circumference as well as normal insulin levels. [20:13] – Throughout the three experiments Sam conducted, eating three different diets he had some blood work done and he shares some of his results. At the end of his low fat fake food diet he noted his triglycerides had quadrupled and he also noted how on the low carb diet he struggled to finish all his calories every day, while on the low fat fake food diet he could easily consume all the calories without any struggle at all. [22:28] – How receptive have GP’s (general practitioner doctors) been with regard to the real food message? While there have been some roadblocks, Sam explains when provided with the evidence and case studies, overall, they have been very receptive. The PHC has just launched the ambassadors programme that enables the training of local representatives (who are all volunteers) who can then liaise with the local health representatives and inform them about the PHC and what they do and how they can help. It is a free service, but it enables them to show health care professionals the evidence and case studies that show the effectiveness of this approach for patients getting better without drugs. [25:17] – Sam explains it encourages fellow health care professionals to talk to each other and having a lot of professionals as supporters of these issues gives weight to the argument. [26:16] – The PHC also has different patient booklets available as resources, in particular there is the Real Food Budget booklet which helps people realise this way of eating doesn’t have to be expensive. The fattier cuts of meat, which could be better, tend to be cheaper. Budget is a real consideration for people and this is a very useful resource, that breaks it all down and is manageable. Some tips when buying meat include talking to your local butcher and swapping for cheaper cuts e.g. for Gary switching from regular bacon to shoulder bacon resulted in a saving of 11 GBP per kg! [37:01] – Sam explains that this is the type of thing the PHC is looking to replicate across the country; a conservative estimate is a saving of 350 million GBP/year. We also learn of the many accolades Dr Unwin has received for his work; he is on the PHC scientific advisory board, he is the national champion for obesity and diabetes for the Royal College of General Practitioners and he was NHS innovator of the year. The benefits to not only the health of the individual, but also to the social health care system monetary wise is immense if they manage to replicate his success nation wise. [39:16] – Sam mentions another interesting point that Dr Unwin talks about is his work environment. Most GP’s are over worked and inundated by patients waiting to see them, but he has managed to reduce the amount of stress in his work life by reducing the need for drugs; instead of patients complaining to him about side-effects he is getting compliments about the reductions. Instead of going into early retirement he is now enjoying his work again. [41:11] – Sam believes they are fortunate in the UK because there is one singular system for healthcare that they can impact upon and show the rest of the world that with the right advice and enough support and enthusiasm it is possible to turn things around in public health. [41:42] – What is the difference between Diabetes UK charity and Diabetes.co.uk support group? Sam explains how the former is a mainstream charity for diabetes in the UK and prescribes to current guidelines of eating a diet that’s low in fat and eating carbs with every meal for people with diabetes. The latter is a private organisation that is patient driven, with a free membership site with about half a million members worldwide. They have a 10-week low carb programme for diabetics that has been showing some incredible results and what’s more they are PHC supporters. [43:54] – In May, 2017, Diabetes UK have realised a position statement confirming that low carbohydrate diets are safe and effective for people with type-2-diabetes. Even though they have not yet come around fully, it is encouraging to see that there is movement from them on this issue. [44:35] – For someone who is diagnosed as a type-2-diabetic and wants to change their diet, in addition to the resources available on PHC, Sam recommends the Diabetes.co.uk website. People can sign up to their free low carb programme and there is abundant free resources available including videos, PDF recipes etc. Sam also explains that it is always important to work with your healthcare professionals and they have letters available on the Diabetes.co.uk website to help with explaining it. [46:16] – PHC released a cookbook called Real Food Rocks available on Amazon that is filled with real recipes from real people and it is available for purchase on Amazon; every purchase provides the charity with a little donation. [47:55] – In addition to donating to the charity directly and buying the cookbook, people can also become members on the PHC website. This is available to everybody and comes with a member’s pack which includes a t-shirt, some wristbands and all of the professionally printed booklets. It also means you are contributing to the cause, Sam says every extra pound they receive means they can send ten booklets to GP’s across the country. He also explains how they keep the costs to a minimum and that the donations from the public allow them to keep everything available for free. [49:50] – Sam talks about the 2nd annual conference of the PHC in Manchester with 250 attending. Speakers included Dr. Jason Fung, Dr Andreas Eenfeldt, Dr. David Unwin, Dr Joanne McCormack, Dr Trudi Deakin, Dr Tamsin Lewis, Dr Aseem Malhotra, Dr Peter Brukner and Dr Zoe Harcombe to name a few! For those interested when the next one when will be held make sure to follow PHC on Facebook or Twitter. You can also find the YouTube videos from the 2016 conference here, 2017 are not up yet.